Brandon Cumpton underwent Tommy John Surgery and is out for the year. Brandon Cumpton is out for the season as he underwent Tommy John surgery on Tuesday. 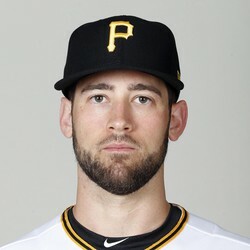 Cumpton was in the running for a bullpen spot on the Pirates opening day roster. He has fantastic stuff and can pitch in long relief situations, but unfortunately, his season has been cut short. This will make the decision of who to keep on the roster between Jeff Locke and Vance Worley a whole lot easier. One of these two will be the 5th starter and the other will be a bullpen arm.